potential goes first. It typically begins to drop about 24 hours after the alkaline water was made. The water’s alkalinity starts to drop off about a week after it was made. You can extend the time that alkaline water keeps its antioxidant potential and alkalinity if you store it correctly. But the fact remains that alkaline water is a drink best drank fresh. 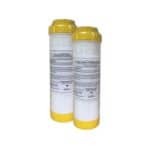 When water ionizers make alkaline water they don’t add anything to water. Instead, they change the composition of the mineral bicarbonates tap water. Tap water has two main mineral bicarbonates: Calcium and magnesium bicarbonate. 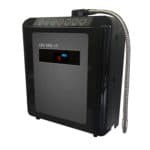 What a water ionizer does is separate the calcium and the magnesium from the bicarbonate (bicarbonate is dissolved CO2). Once separated, the minerals and the bicarbonates each undergo a separate, additional reaction. The minerals combine with hydroxyl ions taken from water molecules to form mineral hydroxides. Alkaline water gets its alkalinity and antioxidant potential from those mineral hydroxides. But those mineral hydroxides are weakly-bonded. This means that the electromagnetic bonds that attract the minerals to the hydroxyl ions is weak. Because those bonds are weak, the hydroxyl ions can be edged out by things like CO2 and oxygen. Both of those substances bond much more strongly with minerals like calcium and magnesium. But oxygen and CO2 both bring down alkaline water’s alkalinity as they replace those hydroxyl ions, so the alkalinity of the water slowly returns to what it was prior to ionization. 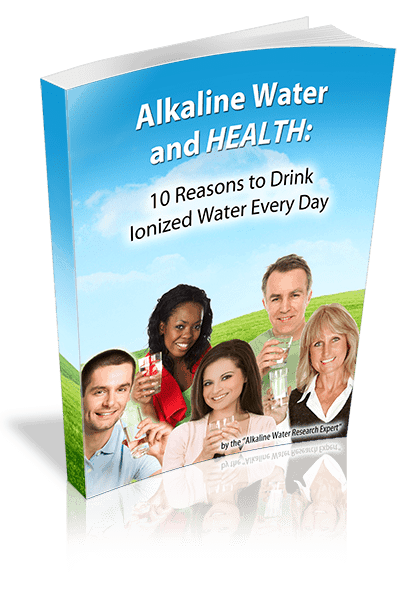 The hydroxyl ions that give ionized alkaline water its antioxidant potential do so because they have an ionic charge. The hydroxyl ions lose that charge over time as they break down. That is why the antioxidant potential of alkaline water drops before the alkalinity of the water. It is also why you can’t buy antioxidant alkaline water in stores. The antioxidant charge just dissipates too quickly to bottle and sell it in stores. Remember, ionized alkaline water is best consumed fresh. 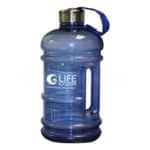 The way to keep alkaline water fresh as long as possible is to store it in a cool, dark place. Glass containers work well, but 100% BPA free plastics are better. Glass allows the ionic charge that gives ionized alkaline water its antioxidant potential to drain. BPA free plastics act as an insulator, so the antioxidant charge holds longer. Keep containers sealed and try to minimize the amount of air in the container. You can also make ice with alkaline water and preserve its antioxidant potential longer. If you follow the recommendations above, you should be able to store alkaline water in the fridge for about a week. When cooking with alkaline water use level 4 alkaline water from your machine. The water will lose some potency when you boil it, but there will still be enough left to make your food healthier.